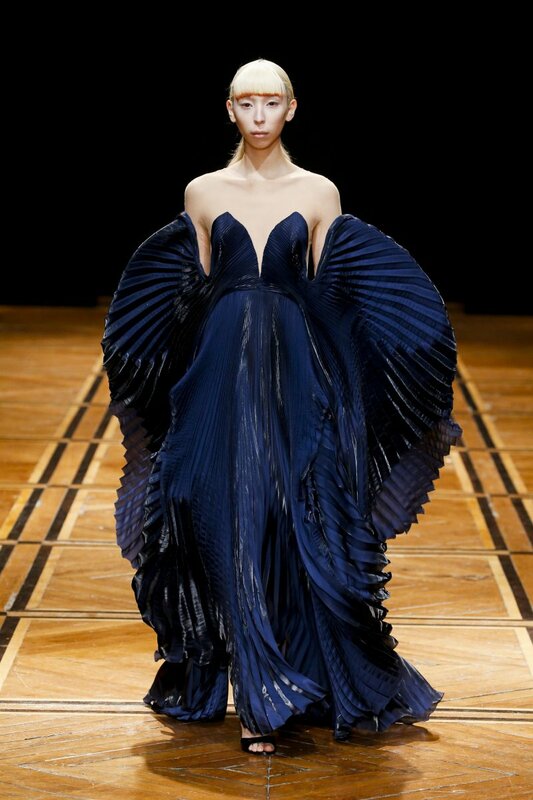 The recent Couture collection of Iris van Herpen Couture was inspired by Andreas Cellarius star atlas and representations of mythological chimera. The collection comprises of eighteen looks with focus on analyzed and voluminous layering, and a warm shading palette of ochre, tyrian purple, and indigo colors. The designer exploratory methodology sees a collection of 3D printed, laser-cut, algorithm-defined pieces. The 'Cellchemy' face-jewelry are 3D printed in collaboration with the Delft University of Technology. For the finale of the show, Iris van Herpen teamed up with contemporary artist Nick Verstand to create a laser light installation. ”For 'Shift Souls' I looked at the evolution of the human shape, its idealization through time and the hybridization of the female forms within mythology. 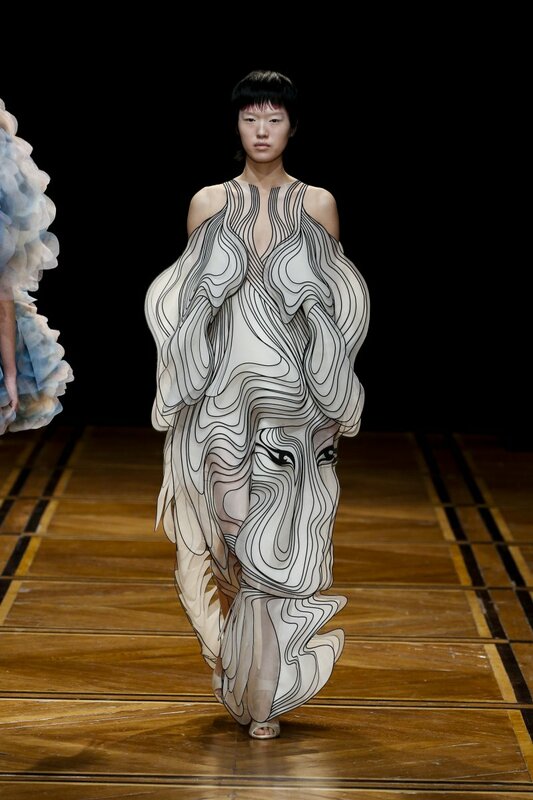 Specially the imagination and the fluidity within identity change in Japanese mythology gave me the inspiration to explore the deeper meaning of identity and how immaterial and mutable it can become within the current coalescence of our digital bodies” — Iris van Herpen.